The family's baby boy turned 4 a couple of weeks ago! and we hurriedly prepared his birthday party... (family of crammers) We can't decide kasi if we'll celebrate with family only or birthday party talaga. 3 weeks before his birthday, we decided to book McDonalds. 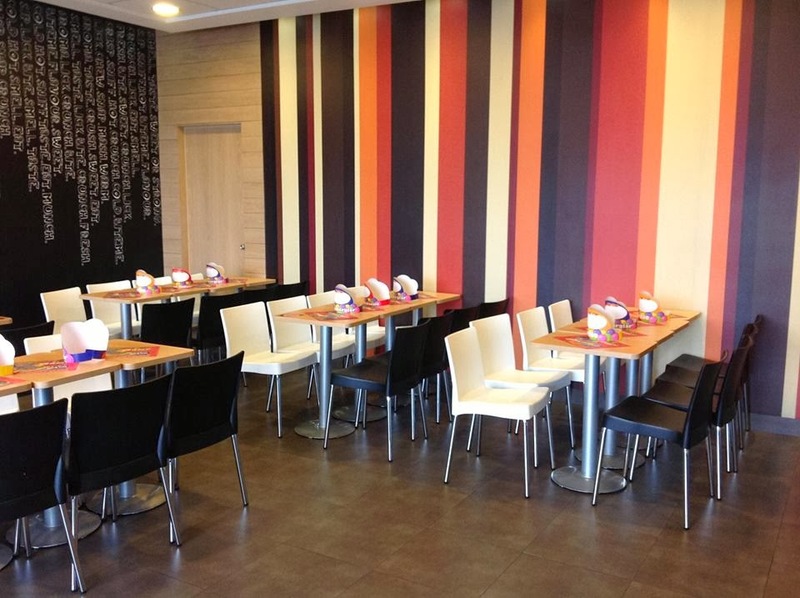 Atc Branch is no longer available, and the ideal location for us is Alabang area because our guests were from sucat, alabang and cavite. We went to McDonalds Pontevia (near Portofino @ Daanghari) and luckily someone overlooked to pay their down payment for the 3-4;30pm slot o the day that we're eyeing. The manager called them and they let go of their slot na talaga, and we quickly pay the down payment. We finalize the menu and opted not to get the meal packages. Nag DIY na lang kami, for kids 1 pc chicken with spaghetti, coke and chocolate sundae, for the adults 1 pc chicken with rice, burger mcdo, coke and chocolate sundae. Our guests count is 10 kids and 40 adults. We added 20 spaghetti kasi yung iba gusto ng spaghetti. Our bill is less than 10k kasama na yung P2,500 na party fee :) mas mahal pala sa jollibee mag party hihi :) The celebrant wanted Ben10 for his theme, but we made kulit to him na Ironman na lang and since gusto nya si The Incredible Hulk and we like Ironman. Avengers na ang theme! The party hall can hold 80-100 guests, since konti lang kami ang laki ng space for games. 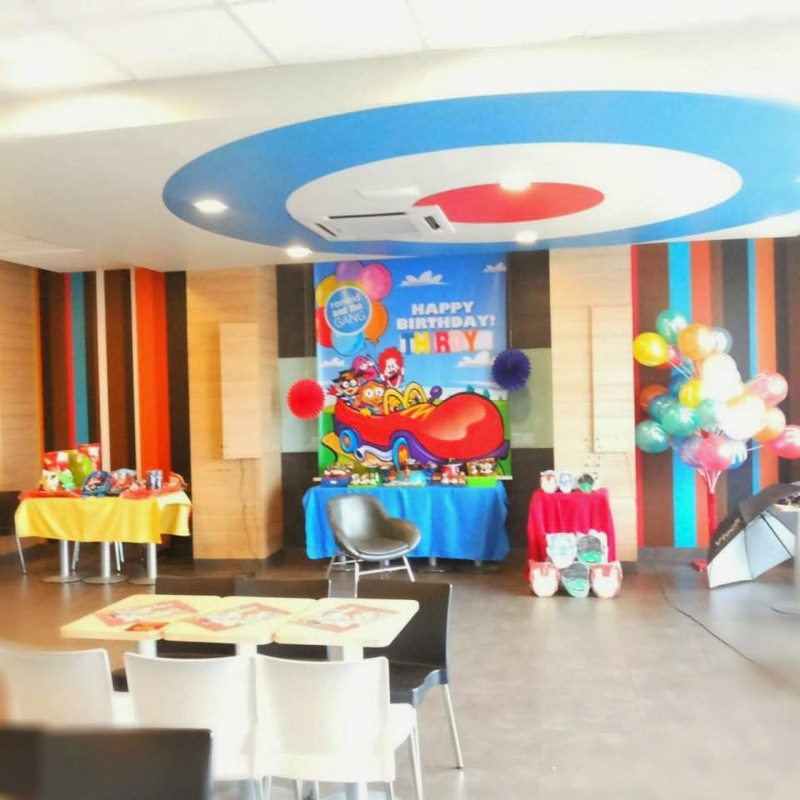 - The Mcdonalds staff stopped us at first when we tried to use the center table for Mcdonalds giveaways lang daw yun, I told them we rather used it for the cake and sweet treats. Puamayag naman sila. - We bought the cupcakes at Cielins, BF Homes Pque. Super yummy cupcakes and super affordable P18.00 - P20.00 each for chocolate flavor, red velvet and mocha flavor. We just placed store bought toppers. - Purchased big bag of chocolates and wonka pixsticks from s&r. Placed the chocolates on disposable margarita glasses from Celebrations Party Central too. 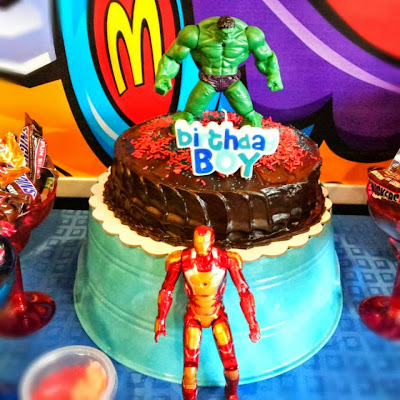 - We bought the chocolate cake from Cielins for P395.00, sprinkled some red and blue candy sugars, with Hulk and Ironman action figures --- we have our diy semi - avengers cake. Our cake candle is from Celebrations Party Central too! I was not able to go to divi for our prizes so I went to all the toy stores na pwede ko puntahan! 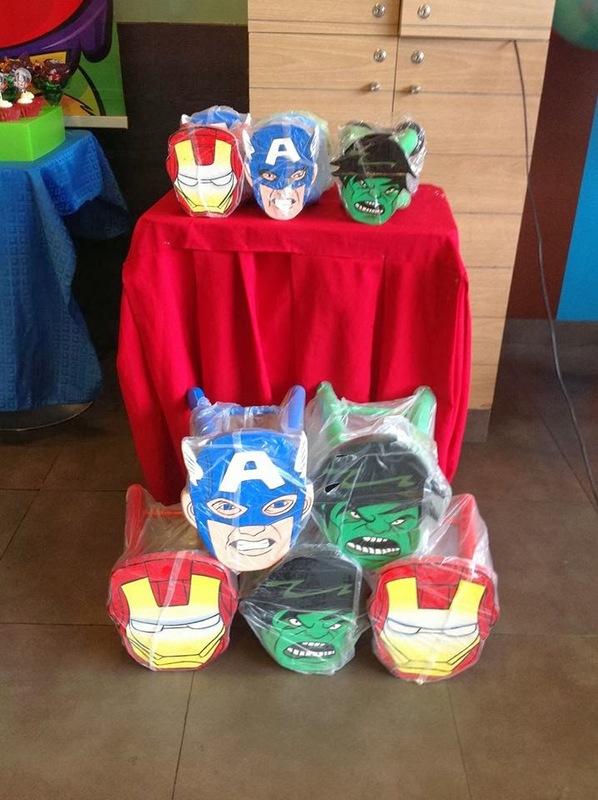 Avengers is so popular pero ang konti lang ng party stuff nila. We also got Purple Bunny Photobooth again! as usual super smooth nila kausap :) their camera and lcd screen are inside a bunny shaped head. Super cute! I will get them again if we need a photobooth supplier. Bumagyo that day and we even got stranded because flooded na sa subdivision namin but all our guests came and our little boy enjoyed his day! Priceless when we saw him smiling with his blinking Captain America mask! good day ask ko lang po sana kung magkano po binayaran nyo dto? salamat po.. I'm currently looking for a venue for my daughter's birthday and the closest we have is a McDonald's. Just a question though --- Can we bring in our own decor? My daughter, like almost everyone else's, wants to have a Frozen Party. 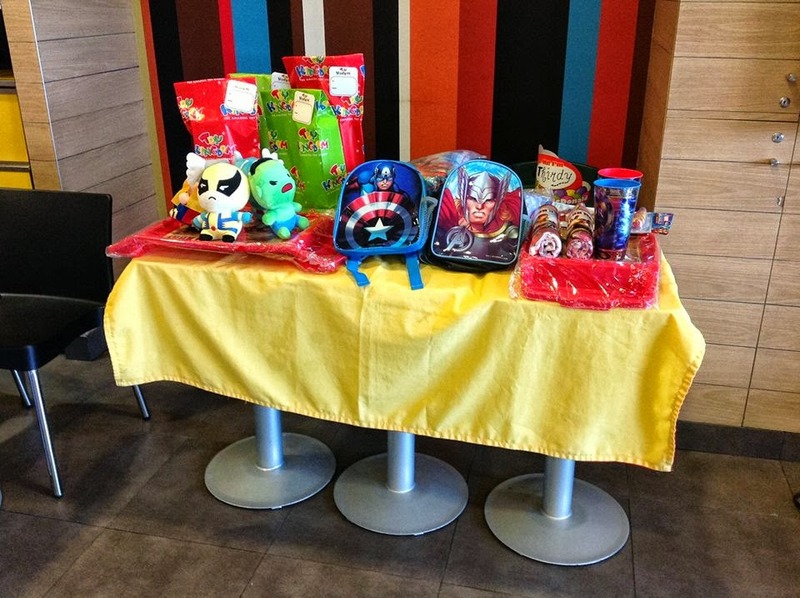 We bought Frozen-themed paper plates, napkins, prizes in the US and was wondering if McDonald's allowed you to do the same for the Avengers.My daughter isn't into Winx and the others were pang-boys na. Hi Mrs.Panda. How much po ang binayaran nyo sa McDonalds for the electricity for sa photobooth? Thank you. for your photo booth needs. You may check Peekturehub Photobooth, they are very reliable, flexible and easy to deal with. Please check out Peekturehub Photobooth. 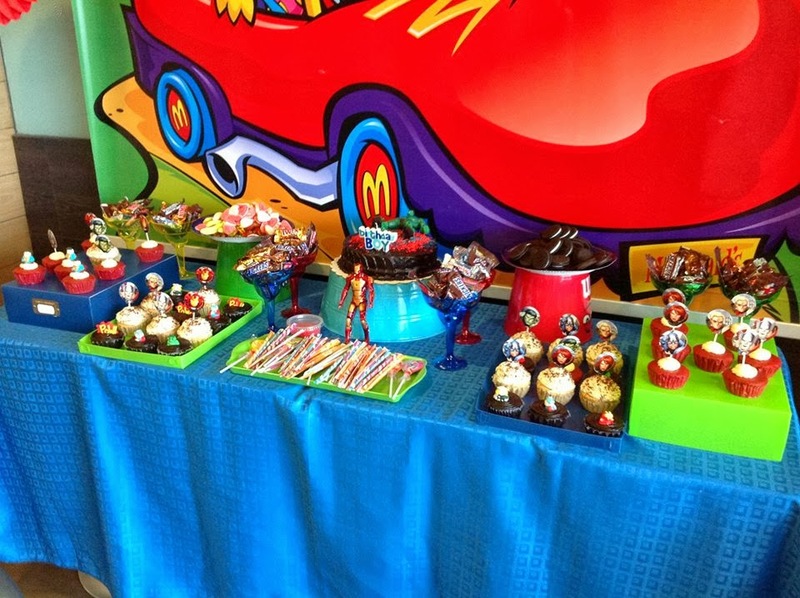 We love seeing international McDonald's birthday parties! So cool! Ready for Trick or Treat 2013?